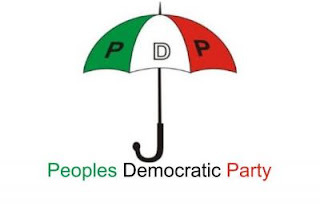 The National Caucus of the Peoples Democratic Party met in Abuja on Thursday and fixed August 17 for its national convention. The convention, like the May 21 controversial national convention, according to the Chairman of the party’s National Caretaker Committee, Ahmed Makarfi, will also hold in Port Harcourt, Rivers State. Makarfi, who briefed journalists after the meeting, added that the caucus agreed that the next national chairman of the party would come from the South. He said this decision was reached in order to balance the power equation in the party since it had been agreed that the party’s presidential candidate would come from the North in 2019. During the last botched national convention, the party had zoned the office of the national chairman to the North-West, an action that was protested by the leaders of the party from the South-West. The zone was initially billed to produce the national chairman until the then National Chairman, Modu Sheriff, showed interest in the position. The former governor of Borno State was also believed to have arm-twisted the party and its national zoning committee to zone the office to his geopolitical zone. He later emerged as the sole chairmanship candidate from the zone. Makarfi, nevertheless, said that it was left for the three geopolitical zones in the South to decide which of them would fill the position of the national chairman. The zones are the South-South, South-East and the South-West. He said, “We discussed some programmes leading to the convention, meaning that the national convention will hold on August 17 where we will elect new national executive officers of the party. “We also discussed about zoning. Within the next few days, a committee will be set up on zoning. The convention set aside the previous zoning arrangement. So, a new zoning arrangement have to be made and we have agreed that within the next 48 hours, this committee should be put in place and given a week to come up with a new zoning arrangement. “But, of course, the committee should take a cue from the decision taken at the Port Harcourt convention that the presidential candidate will come from the North. Makarfi expressed hope that before the convention date, peace would have returned to the troubled party. Already, he said the meeting received reports on how to reconcile aggrieved members of the party and expressed hope that the party was on the right track to regain power in 2019. In his own remark, the Chairman of the BoT, Walid Jibrin, said that there were plans to withdraw all court cases. He said he led a group of members of the party to have meeting with Sheriff on Wednesday night. He said the meeting ended early Thursday.